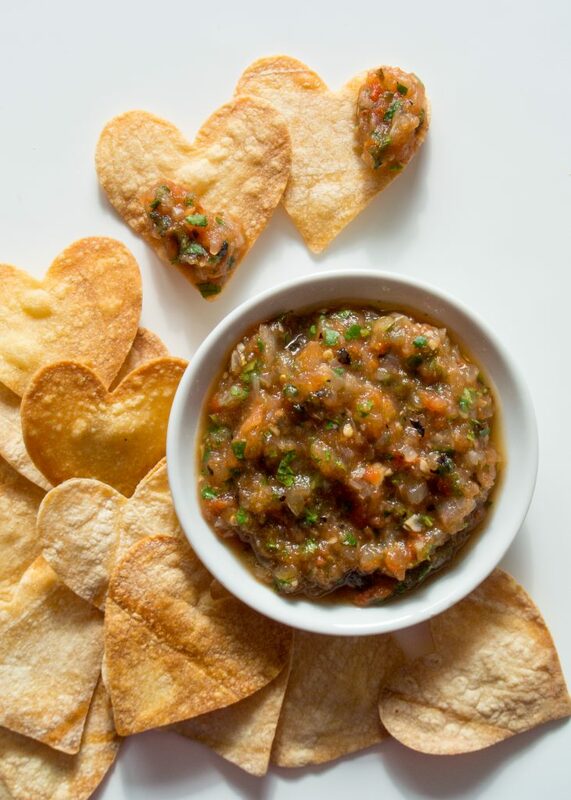 Today was a perfect Salsa and Chips Day in Washington, D.C.
What do I mean by that? The kind of day when I want to snack a lot, and don’t mind the oven on for a while. Winter has arrived, as evidenced by Winter Storm Diego wreaking havoc a bit to the south, and my hands and neck getting itchy again. Yeah, I have a weird winter thing. Anyway! Today was chilly, and after a nice long walk with Tazewell this morning, I realized it was a great day for homemade chips and salsa. 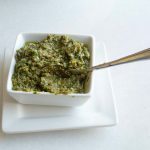 In August I posted about the Easy Roasted Tomatillo Salsa I immediately became obsessed with – I made several batches in rapid succession, as soon as I would get low on the last. I kept a fresh batch in the fridge for months and used it to top everything from brunch egg bakes to chicken. 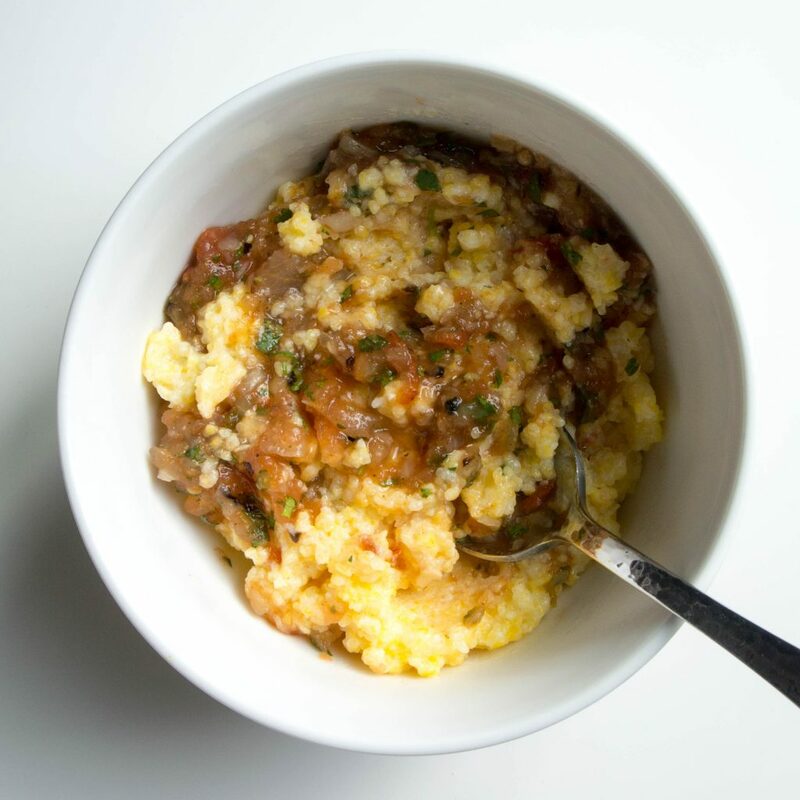 Today I wanted to make this Roasted Tomato Salsa – made the same way (broil and food processor), in the same number of minutes (under 15). For chips, this recipe takes about 20 minutes per batch, which was perfect to keep my apartment warm, and for me to check in on and rotate pans of tortillas as I puttered around, doing laundry and and other life maintenance that the weather and a free Sunday invited. 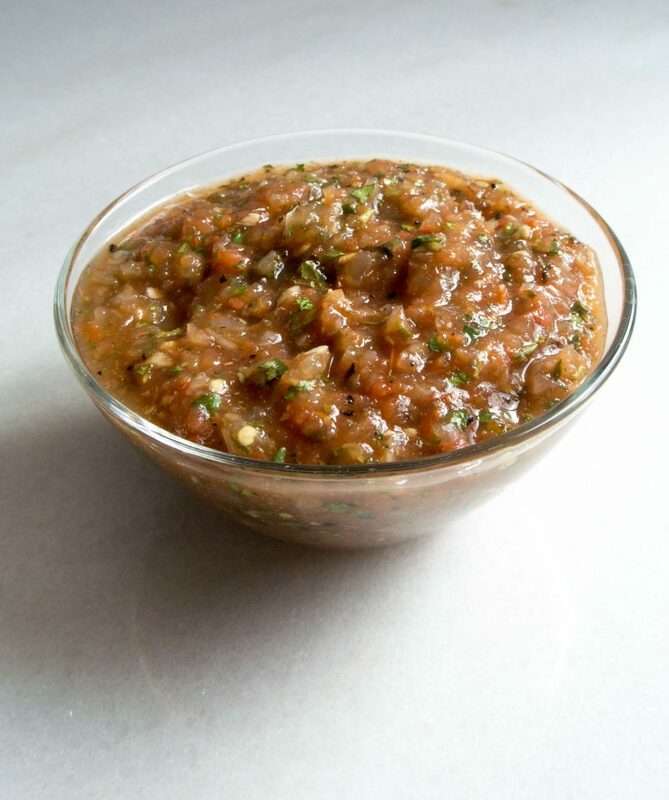 When I saw what a success the tomatillo salsa was, and had a scary day in a few produce sections at the end of the summer where it looked like there may be a tomatillo production issue … I knew I needed a roasted tomato salsa in my arsenal. Got it! Here’s the thing. We all had different definitions of what “easy” means. Is it “easier” to open a jar than to put a pan under a broiler for 10 minutes? I guess so, depends on the jar. But if that’s your standard, then you’re not someone who is looking to be cooking, and I’m not going to convince you that anything is easy. Pre-heat your broiler, and set the rack a few inches below. 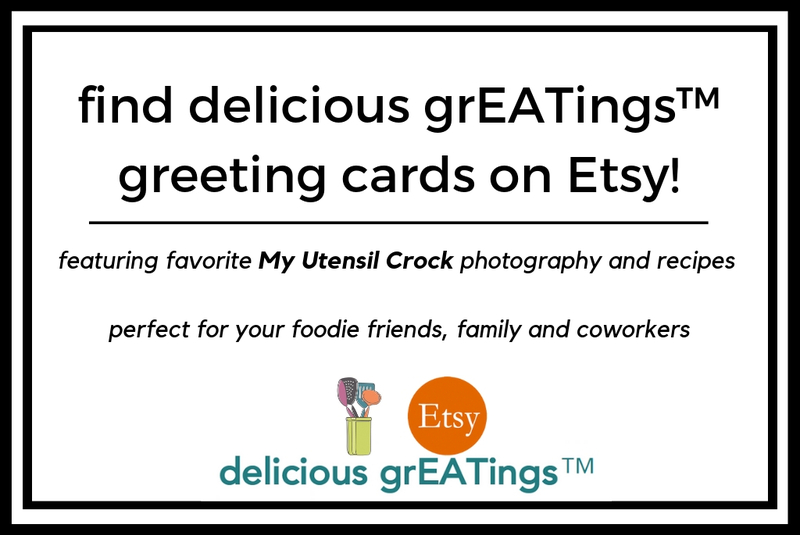 Cover a large sheet pan with rimmed edges with a piece of heavy duty aluminum foil (so the juices don’t leak through any seams from smaller foil). Roughly chop 3-4 vine ripe tomatoes and one sweet onion, and place them on the foil. Add two serrano peppers and a few cloves of garlic. Broil it, and when everything has a nice char on it, transfer everything including the juices to the food processor. Add cilantro, cumin, and lime juice, and you are DONE. 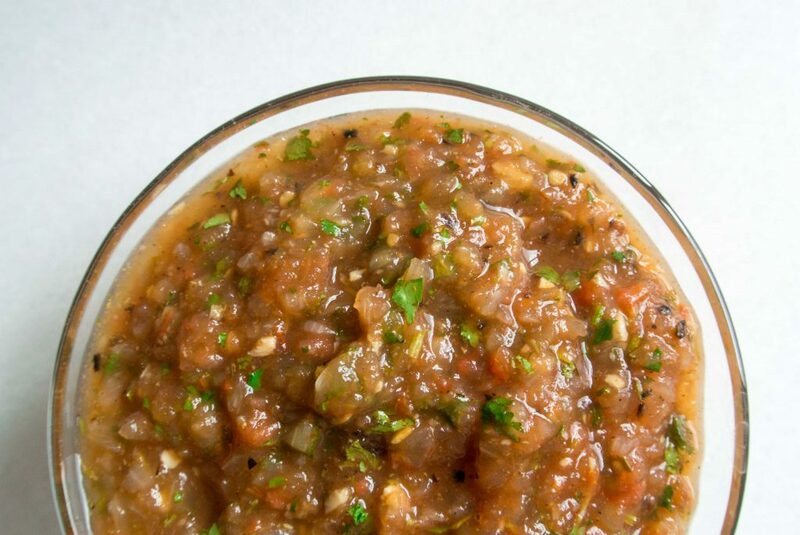 You will have a generous batch of 4 CUPS of salsa. No sodium, no questions on ingredients – that’s it. 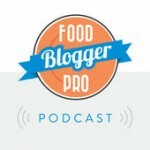 I have been putting a spoonful of this on everything, including most recently, on my grits! 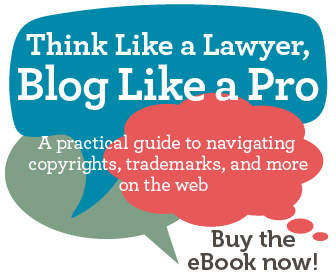 Do not knock this until you try this. 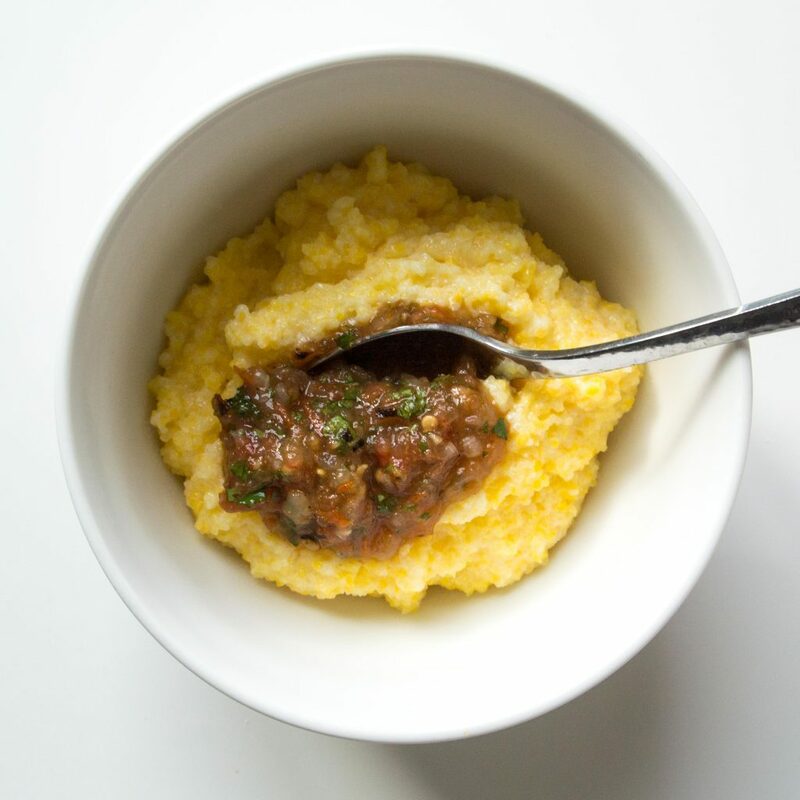 It’s the best – so filling and flavorful. However, maybe don’t try this for the first time for an early morning breakfast. Start out with a weekend leisurely brunchy time – the serranos have some kick to them! 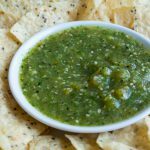 This (or the Easy Roasted Tomatillo Salsa recipe) are easy and impressive dishes to make to have in the fridge for a week at a beach house, or a weekend in a rented cabin. 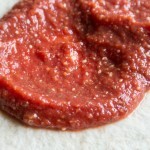 It uses ingredients that are easy to find, only takes a few minutes, and who has ever been upset to have salsa around? Add a batch of homemade chips, and you have a healthy snack that’s always a crowd-pleaser. 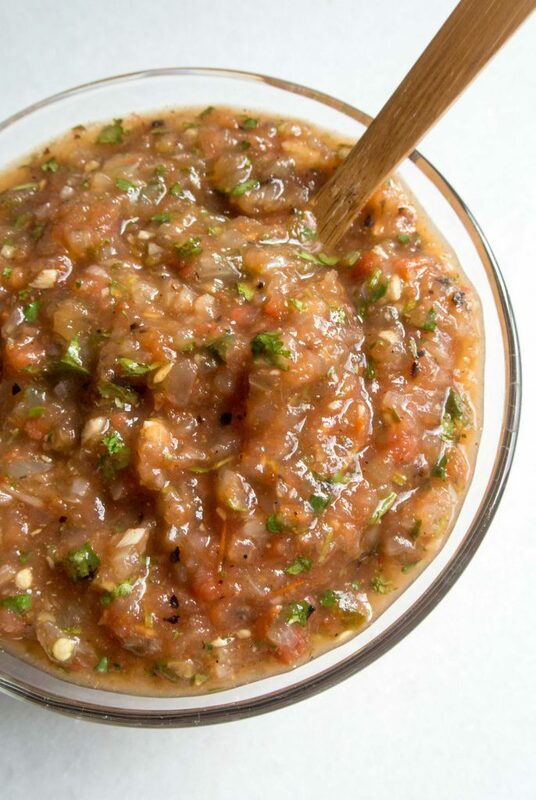 This recipe makes 4 cups of amazing salsa in 15 minutes. 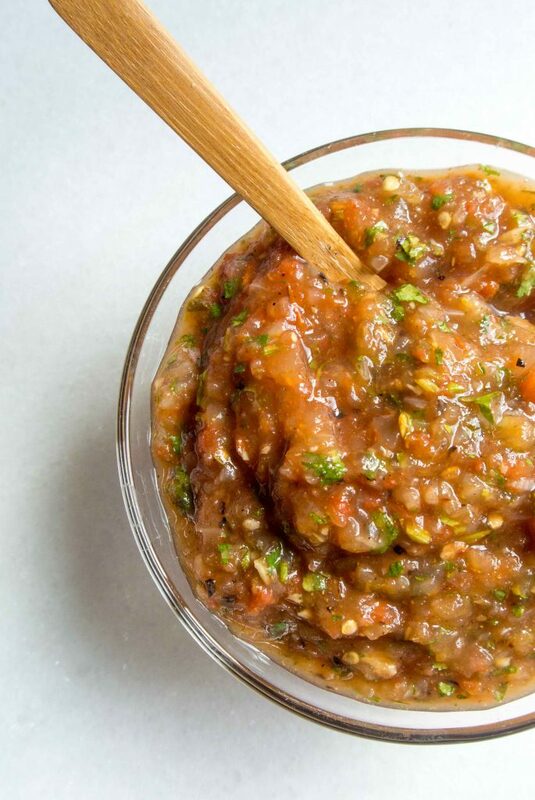 What are you waiting for (and why are you still buying salsa)? Preheat the broiler and set a rack a few inches below. Cover a large rimmed baking sheet with heavy duty aluminum foil. Roughly chop the tomatoes (quartering them is fine), and place them cut-side down on the foil. Roughly chop the onion into a few wedges, and add them to the pan. Add the garlic and serrano peppers (clip the stems off of the peppers before or after roasting). Broil the pan for about 10 minutes. Check in on the pan. It's done when everything is nicely charred. Transfer the contents of the pan to the bowl of a food processor (you may want to wait for it to cool a bit first). 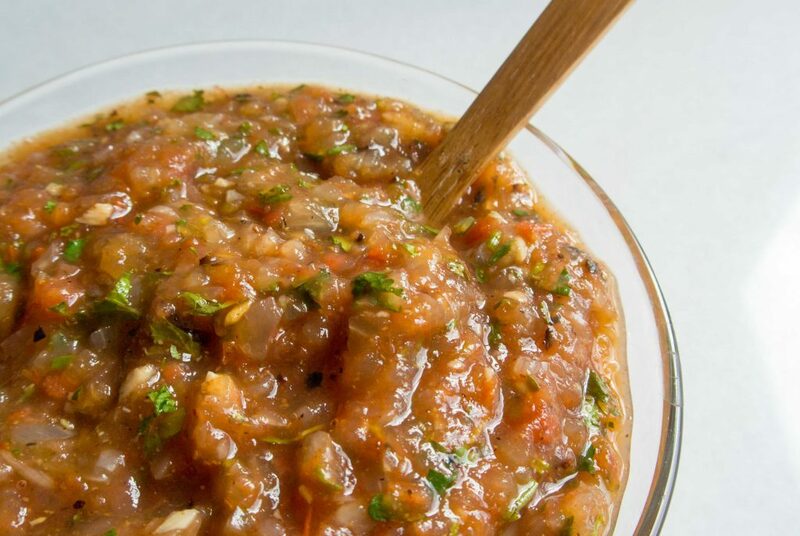 Add the cilantro, cumin, and lime juice, and process the batch until it looks like salsa!